Sometimes you just need a super easy-to-make appetizer recipe that isn’t all that fancy. 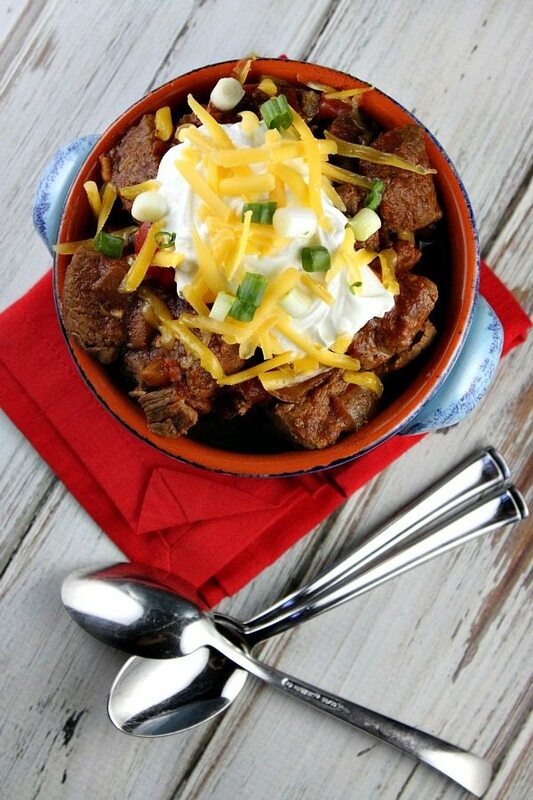 I find that this recipe is perfect for sporting event parties (though I served them at my Christmas party last year too). 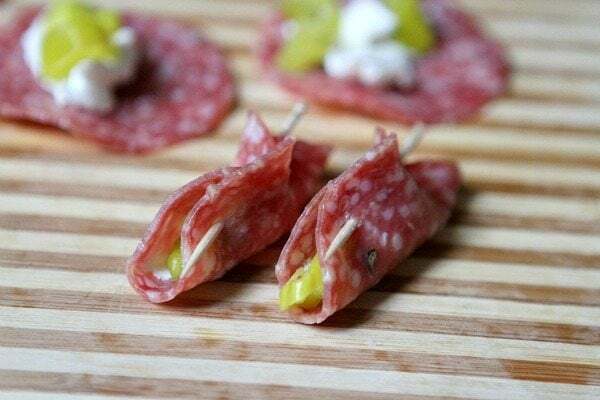 Everyone likes salami, and these are perfect for just picking up and eating quickly while holding a beverage in the other hand. Someone long ago shared the 3-ingredients that make the appetizer happen, I tried it out on some party guests, and I’ve been making it ever since. 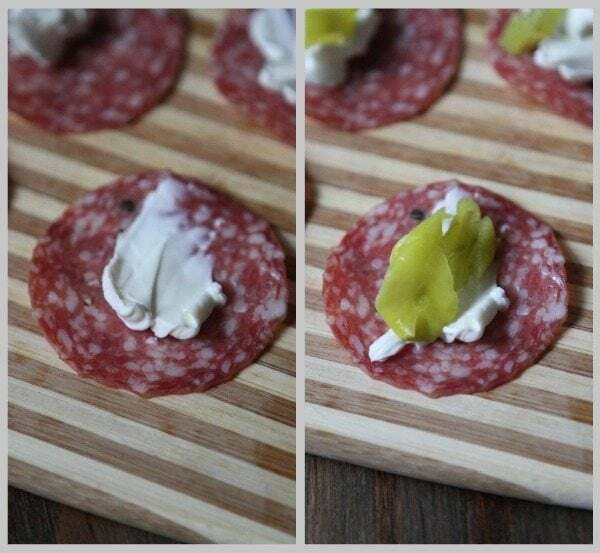 Here’s how it works: a piece of salami, a smudge of cream cheese and a piece of pepperoncini (they’re found in a jar near the pickles). 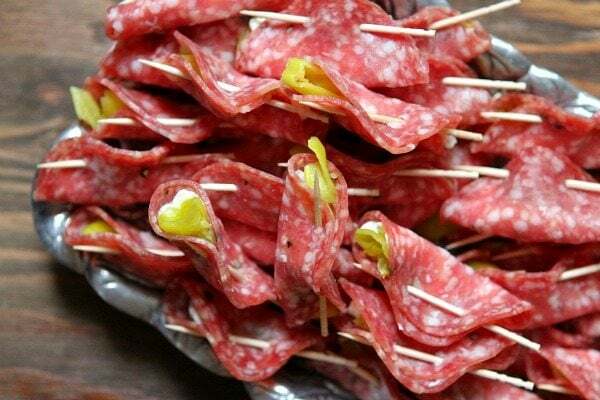 Fold ‘em up, fasten with a toothpick, and that’s it– just pile them onto a platter. For a big party, I like to buy the salami in bulk at Costco, and you can pick up a big tub of spreadable cream cheese there too. As far as the pepperoncini go, I cut out the seeds and just put a little piece of seedless pepperoncini on top. If you’re not familiar w/ pepperoncini, they’re not overly spicy like jalapeno… just spicy enough to add some interest and flavor to the appetizer. These are such a good sweet munchie for a party because everyone loves cupcakes, and everyone loves cookies, and everyone loves peanut butter cups. 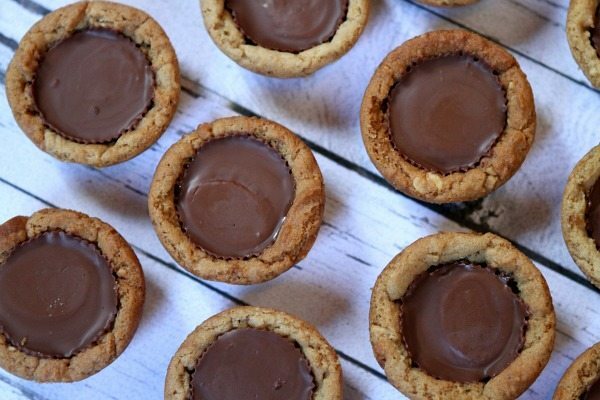 Put them all together and you’ve got these Peanut Butter Cup Cookie Cupcakes! They’re always a big hit. 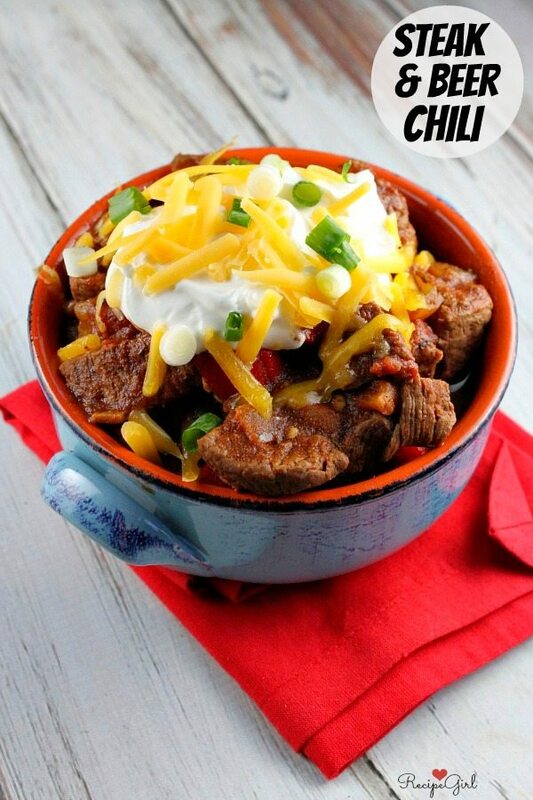 This recipe comes from my cookbook: The Recipe Girl Cookbook. 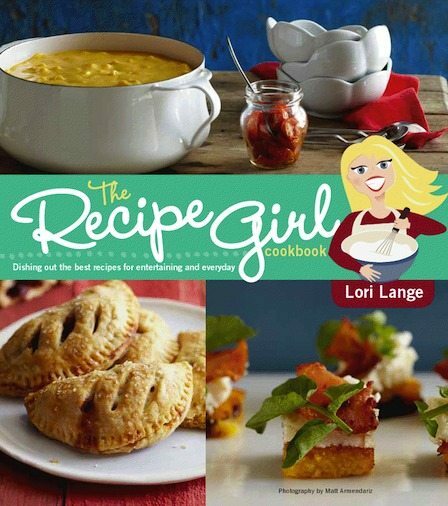 80% of the recipes in my book are brand new, created just for the cookbook (never published on RecipeGirl.com). So that means that 156 of the 195 recipes… you’ve never seen before! The remaining 39 recipes are total website favorites. I have a very dog-eared copy of my book that lives on my kitchen counter. I cook from it often! 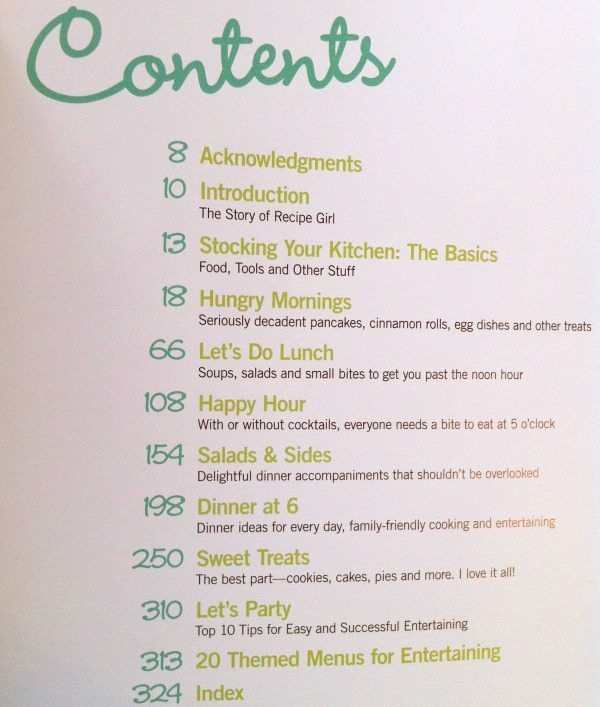 Here’s a sneak peek at the chapters in the book- all meals of the day! My favorite part of the book is the entertaining (theme menus) chapter. 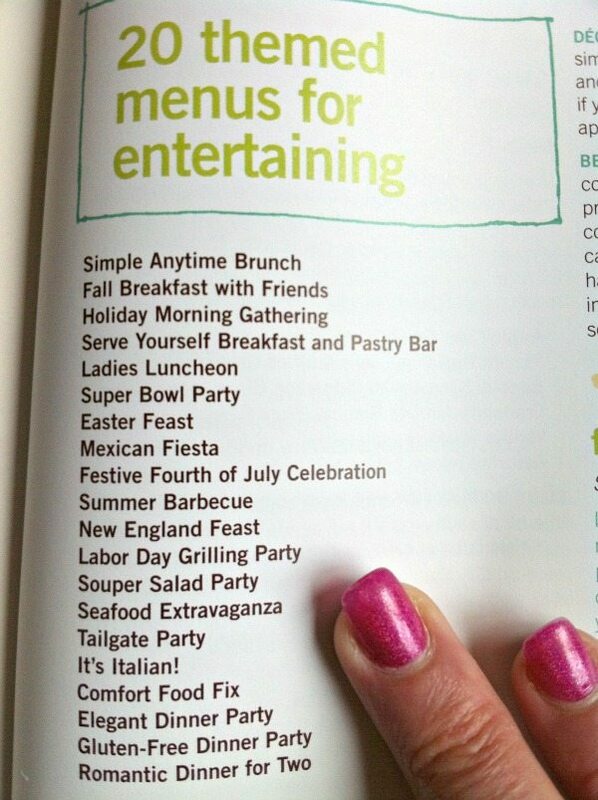 I love to entertain, so sharing menus with others is a big passion. As the first month of the new year progresses, I’m continuing to make as many positive changes as my life allows. We’ve had a rough start as my husband broke his leg just after Christmas in a sledding accident. The silver lining in this story is that we have been able to spend a lot of time together as a family, and I’ve made healthy meals for us to eat at home almost every day since it’s been tough for my husband to get around. 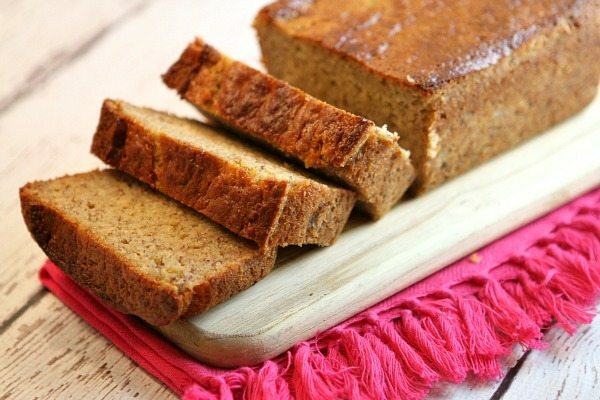 When the bananas on the counter begin to blacken, it’s always a great time to make banana bread, so this is a new version I’m sharing with you today. 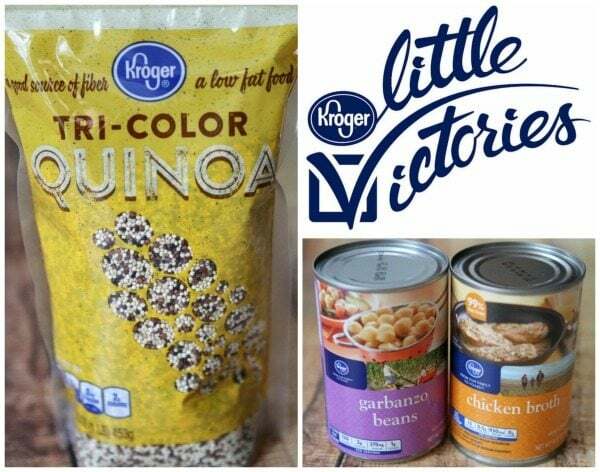 This year I’ve partnered with Kroger to encourage everyone to reach their goals and attain these ‘little victories’ in 2015 to help keep their healthy New Year’s resolutions. 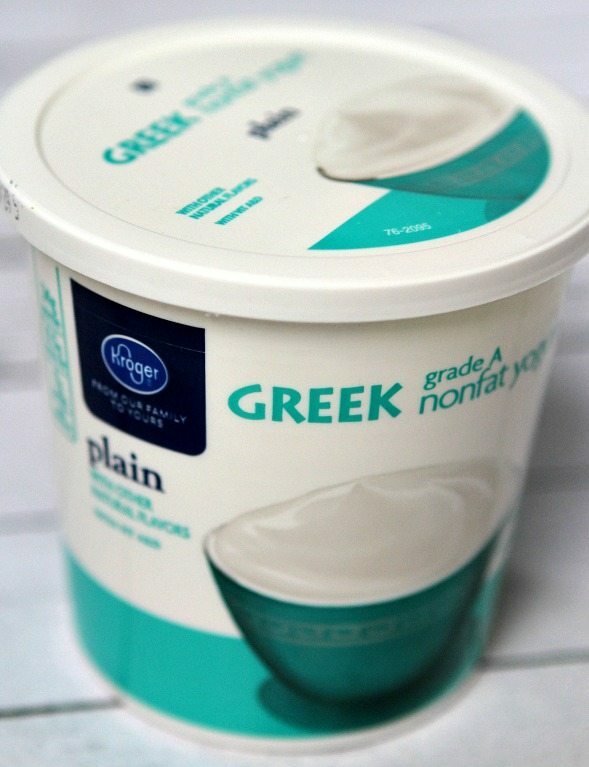 A little victory I made this week was making a decision to incorporate more Greek yogurt into my life. I eat it occasionally for breakfast but definitely not enough. Greek yogurt has twice as much protein as regular yogurt, which is great for weight control because it helps you feel full longer. Here you go: Stuff I’ve Gotta Share and You’ve Gotta See! Have you ever thought about doing a 3-day juice cleanse? They’re not for everyone, but I seriously love how they make me feel. I’ve done several… from a few different companies. It’s helpful to get feedback from others on the various cleanses available out there. 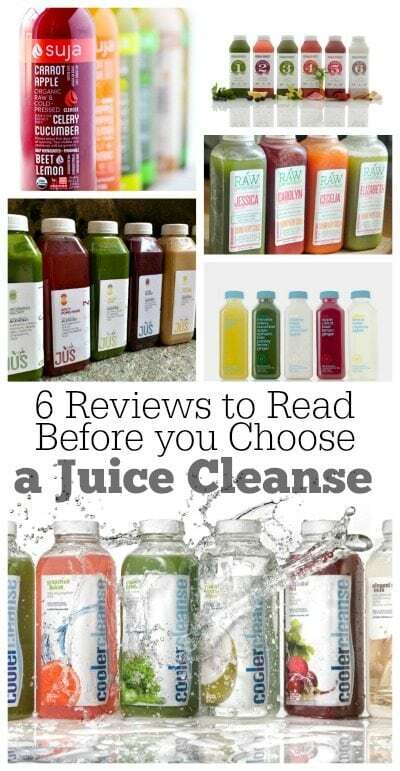 On Parade Magazine‘s blog last week, I shared 6 REVIEWS TO READ BEFORE YOU CHOOSE A JUICE CLEANSE. A friend of mine- Carrie Vitt- just had her 2nd book published: The Grain-Free Family Table. Carrie shares an amazing story on her blog (Deliciously Organic) and in her book about how she was able to manipulate her diet to manage her autoimmune disease and get herself healthy and feeling good. 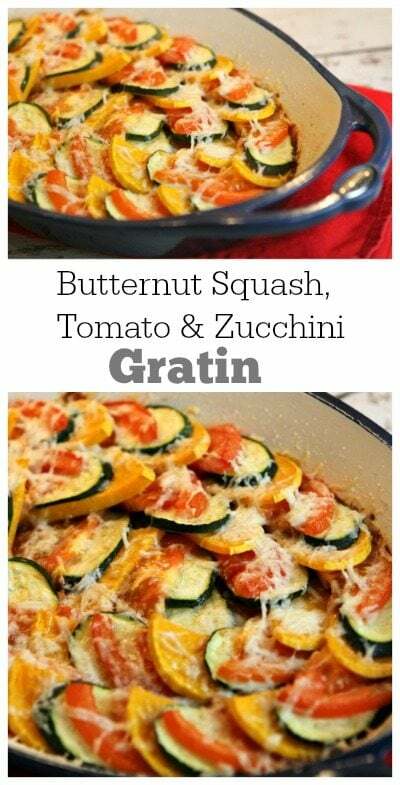 I shared a recipe from her book on my latest Parade Magazine post: BUTTERNUT SQUASH, TOMATO & ZUCCHINI GRATIN. 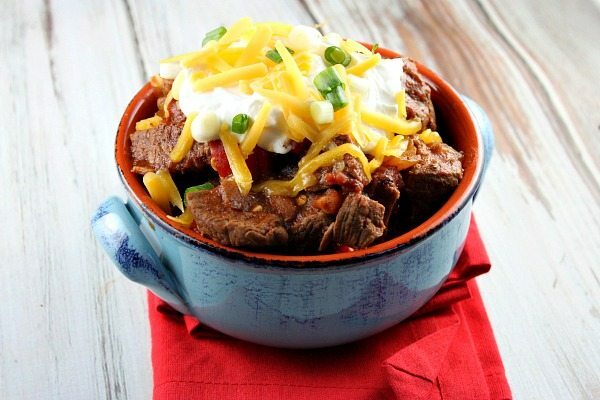 It’s a delicious and easy-to-make side dish recipe. I served it with roast beef last weekend, and we loved it! My son Brooks (RecipeBoy, of course), woke up on Saturday morning and said, “I think I’ll make us Croque Madame’s for lunch!” What sort of 13-year old does that?? My boy. Yes, he’s a foodie for sure. He researched how to make them, and then he made them and shared them on his blog: HOW TO MAKE A CROQUE MADAME. 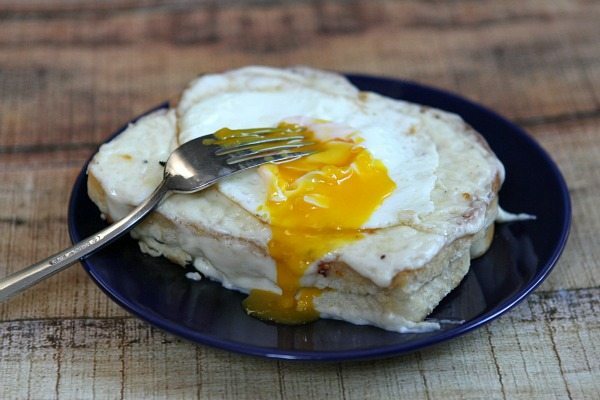 It’s of French origin: basically a grilled ham and cheese sandwich with a creamy sauce and an egg on top. I had one when I was in Paris, and this one was just as good- maybe better!! Is anyone getting excited about the Superbowl yet? I suppose you’re only really excited if your team has made it into the final playoffs. My beloved Chargers didn’t make it this year (Grrrr!) But my son is overjoyed that his Patriots are in the running, and the Seattle part of my family adores the Seahawks too. So if one of those guys makes it to the big day, I will be happy! Of course food is the best part of Superbowl Sunday, so let’s make some sliders! 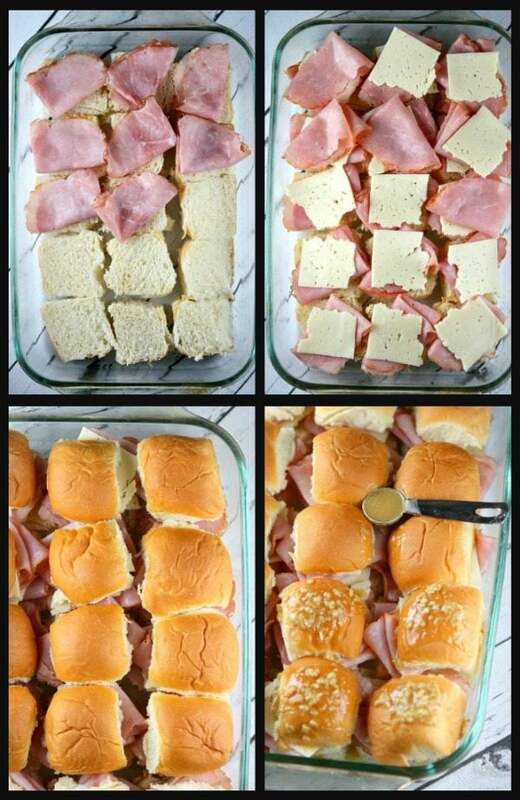 I’ve seen different versions of these baked sliders around the internet for quite some time now. And this is the first time I’ve ever made them! Using King’s Hawaiian rolls is key to their success. We’re kind of addicted to them around my house. 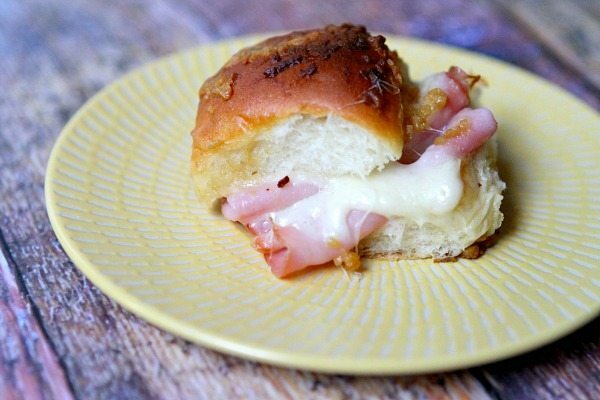 Plenty of ham and havarti cheese are stuffed inside, and a buttery mixture is drizzled on top. Well, it’s a New Year. And that means thinking about making small changes to make it a healthier year. I almost always make it a point to make some healthy changes… always on a quest to live a little bit longer and take off a few pounds. This year I’ve partnered with Kroger to encourage everyone to reach their goals and attain these ‘little victories’ in 2015 to help keep their healthy New Year’s resolutions. Think about a “Little Victory” like this: Swapping out something you have been eating that isn’t necessarily great for something that is much better for you is a little bit of a victory… an accomplishment. I’ve decided that my family eats FAR to much white rice. White rice isn’t that great for you, so it’s time to get rid of that on our dinner menu and replace it with something much better for us: quinoa. 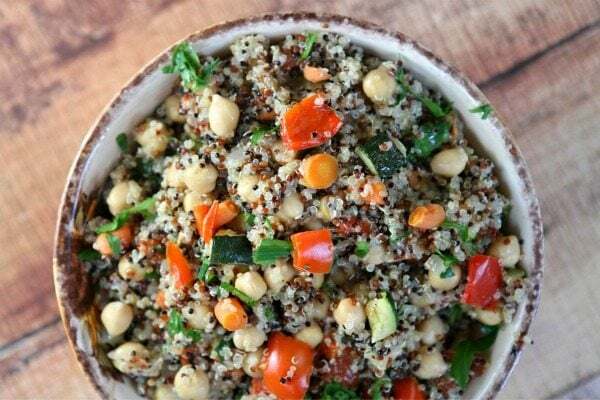 Quinoa is high in protein, and it’s gluten-free too.